For this list I decided to stick to movies and Broadway musicals that tell a story. In these works, the soundtrack is not the point of the shows, but in each case it is in some way notable. 1. Mark Knopfler: Local Hero. Vertigo. The first soundtrack effort from Dire Straits front man Mark Knopfler sounds nothing like that band’s work, despite some members joining in from time to time. The predominantly instrumental acoustic music here puts Knopfler’s keen sense of melody to good use, and also allows the guitarist to stretch out stylistically. The music’s gentle, easy, sometimes brooding air perfectly captures the Scottish countryside that serves as the backdrop to Bill Forsyth’s brilliant 1983 film. 2. Original Broadway Cast: West Side Story. Columbia. The collaboration between Leonard Bernstein’s music and a young Stephen Sondheim’s lyrics yielded what is arguably the greatest musical of all time. The soundtrack has been rerecorded many times, including once by Bernstein with opera-caliber singers, but that endeavor proved disappointing. Turns out that opera singers just aren’t convincing as street gang members and their loves. For my money the most satisfying versions remain the Original Broadway Cast and the movie soundtracks. In both cases, the singing directly conveys the exquisite words and music while the orchestras deliver the all-important rhythmic swing. 3. Original Broadway Cast: Once. Masterworks Broadway. Both a movie and, subsequently, a Broadway musical, Once is an uncommonly effective and affecting non-romantic love story. Built around Glen Hansard’s husky voice and passionate busking, the movie’s great surprise is the chemistry—both vocal and personal—he discovers with Markéta Irglová. As listeners, we share in that discovery and its repercussions. Although “Falling Slowly” was the hit track, there are many others—such as the wrenching “Lies”—that easily stand the test of time. The Original Broadway Cast soundtrack is very good, but there’s no beating the originals in the film. 4. Original Broadway Cast: Annie Get Your Gun. Decca. As with West Side Story, this classic soundtrack has been updated several times over the years, including one from a film and another from a Broadway revival featuring none other than Ethel Merman reprising her starring role. However, I recommend once again the Original Broadway Cast, when the incomparable Merman was in her prime. Musically, these songs remain terrific. The lyrics are an insight into the mores of the 50s—and how much things have changed. Today, you can consider them either highly sexist or charmingly old-fashioned. Either way, what distinguishes this soundtrack is not just the quality of the tunes, but their delivery. 5. Rachel Portman: Cider House Rules. Sony Classical. You may never have heard of Rachel Portman, but she’s well regarded for her melodic, evocative soundtracks. This is one of her best. The mood is alternately wistful and stirring, perfectly capturing the New England countryside, where Lasse Hallström set his moving 1999 film. Portman’s mastery of the form extends to diverse, carefully chosen orchestrations that keep the thematic variations from getting musty. 6. Gershwin: Porgy and Bess. Decca. This celebrated musical seems to get better—and even more resonant—over time. The Gershwin songs have lost none of their power, and even the orchestral interludes feature contemporary-sounding jazzy constructs. Many great versions exist, but my highest recommendation goes to the Decca release featuring Lorin Maazel and the Cleveland Orchestra and Chorus. The playing and singing are superb, and kudos to Decca for releasing the entire opera rather than merely highlights. Available as a 3-CD package, but the Speaker’s Corner LP box set is well worth seeking out. 7. Various Artists: 2001: A Space Odyssey. MGM. Stanley Kubrick excels at enlisting classical music to enhance his vast cinematic canvases. Nowhere is this more evident than in his masterful rumination on man’s evolution and place in the cosmos. The use of Also sprach Zarathustra to denote sudden evolutionary jumps is well known, but Kubrick also cleverly employs Strauss waltzes to convey the grace of space travel. 8. Wendy Carlos: A Clockwork Orange. Warner Bros. Another Kubrick soundtrack, and one that couldn’t be more different from the 2001 score. 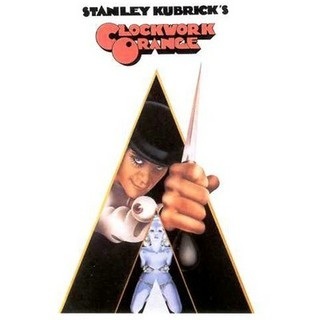 Because 1971’s A Clockwork Orange takes place in an unruly and violent future, Kubrick’s challenge was to build a soundtrack consonant with that setting while holding true to his preferred use of classical music. His brilliant solution was to use Wendy Carlos’ Moog synthesizer translations of works by Beethoven and others. The effect careens from frightening to comedic, as in a riotous sped-up version of the William Tell Overture. This is one of the most memorable soundtracks I can think of. Further, despite its seamless integration with the film, it works perfectly well as a stand-alone piece. 9. Various Artists: Almost Famous. DreamWorks. A longtime writer for Rolling Stone magazine, Cameron Crowe knows good pop music. He put that knowledge to its greatest effect in his best movie, the autobiographical Almost Famous. The songs don’t draw undue attention to themselves, but each one perfectly underscores the emotions of its scene. Together, they infuse the film with an irresistible 70s vibe. 10. Various Artists: Nashville. ABC/Dot. Director Robert Altman was famous for his improvisational writing and filming technique, but he took these instincts to another level when he asked his Nashville stars to write their own songs for his darkly comedic, eye-opening exploration of the country music capital. With few exceptions, the actors had no songwriting background, so it’s a surprise that the songs are so good—laced, as is all good country music, with homilies and on-the-sleeve emotions. What isn’t surprising, given Altman’s scheme, is the intimate connection between the actors and the songs they sing as their characters. In effect, Altman turns the entire cast into singer-songwriters, and that gives the performances a resonance that’s rare in films.